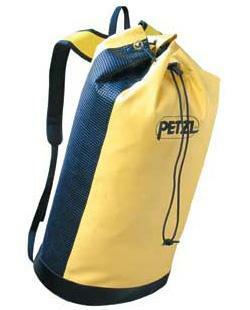 Bag designed for canyoneering including the approach. Multiple drain holes in bottom and mesh side panel for rapid water evacuation. Holds 3 x 6 liter waterproof plastic containers.